A plane is just as equal to any other plane, right? Assuming you haven’t jumped out of a plane just yet, we can safely assume you haven’t researched the airplane that will ferry you miles above earth before throwing you out. To all appearances, you won’t likely become acquainted with it until you meet it at the runway. Let me just say this, skydiving is the one thing you don’t want to go into without having done at least preliminary research. It is not a bad thing to know what plane you’re jumping out of, its strengths, and its weaknesses, because the type of plane will affect the overall awesomeness of your skydive. All information pertaining to the aircraft you will likely find yourself in on the ride to altitude is detailed below. Don’t just skim over it, read it; if not for preparation before your jump than just for smart shopping. Any practiced jumper will tell you the difference between a large turbine aircraft experience vs. a small Cessna is undeniable. These Turbine powerhouses are crafted by the gods themselves and feature a jump-capacity of up to 12 people. They can make a trip to altitude in under 15 minutes, and boast a steady flight with a roomy cabin. 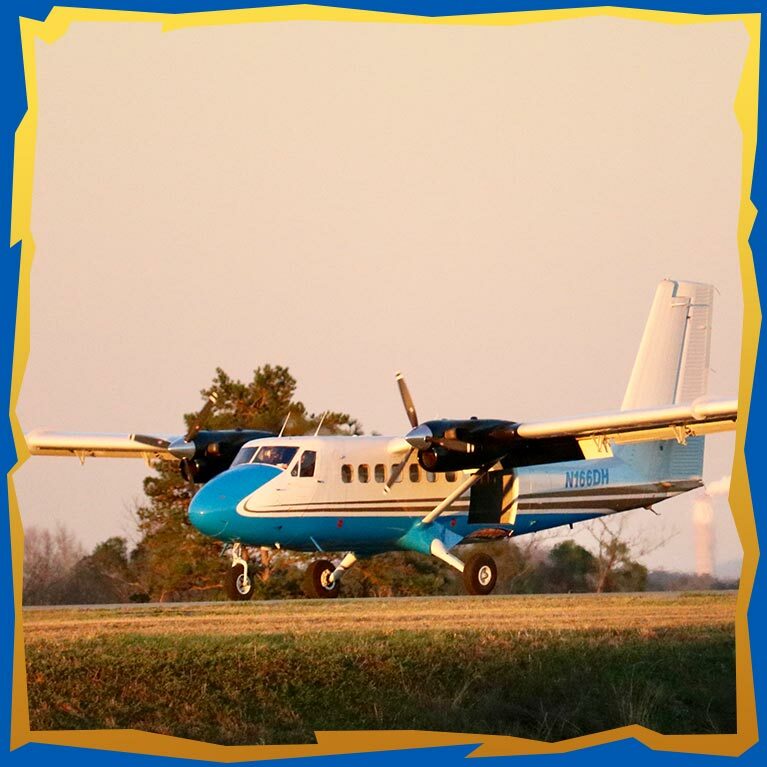 By removing unnecessary weight, we offer a faster flight time and a more comfortable flight all around. Our turbine aircraft are outfitted with windows at virtually every angle, comfortable seating, and large doors for easy exits. Bottom line, turbine aircraft are a feature for anyone’s jump. In fact, we wouldn’t want it any other way! Do yourself a favor and do not settle for small aircraft. Call 215-258-2255 today!